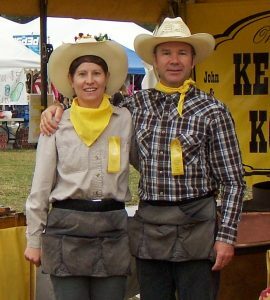 Welcome to originalkettlekorn.com – the Original Kettle Korn. Yes, this is the original John & Barb’s Original Kettle Korn. After over 15 years of popping it up all across Wisconsin and in the South, John and Barb are off spending much more time with their families. Tom and Kathy have been carrying on the John and Barb tradition for the last 7 years – although they do not have the time to attend as many events John and Barb did. 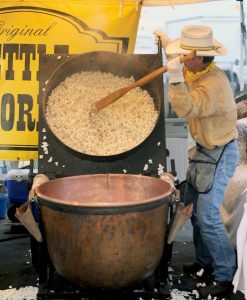 We are proud to produce our “Original Kettle Korn” at many events in the old-fashioned traditional way. We are based out of Wisconsin and most of our events are in our home State. We do venture to the beautiful South for a fall season of wonderful events each year. We take an enormous pride in making sure our Kettle Korn is of the highest quality and always fresh! We don’t bag ahead like many others.